Seeing some of the most spectacular scenery on the eastern seaboard costs about the price of drive-in movie theater admission, thus making it the “must-see, feel-good New England travel destination” of the spring, summer and fall.” What a tremendous feature attraction! The U.S. National Park Service charges only $25 for private vehicle admission, $20 for a motorcycle and $12 for an individual with no car, en route to million dollar views at the 27-mile Acadia National Park, Maine, Loop Road. These passes are good for seven days. What a great minimal investment for your Maine travel plans! I first visited the Acadia National Park Loop Road in the early 1970s and, to this very day, am still in absolute awe of the beyond scenic views of ocean, rocky shores, mountains,hills and carriage trails. One of those aforementioned elements is enough to provide a memorable time, but when they all come together — well, the experience is one that will stay in your mind for a long time. It almost seems like Mother Nature’s ultimate plan for the most scenic spot started at Acadia National Park. If you think that the photo above is the ultimate scene, guess again — it’s like this virtually everywhere across the Loop Road. Although you could do just fine by just driving the Loop Road, the best option is to get out of your automobile to fully experience this one-of-a-kind coastal travel destination. Walk around a bit to see as much scenic detail as possible as you do miss a lot by just driving. Sand Beach where the sand and sea are nicely nestled within the hills and rocky shore. The water is always chilly here, but the scenery absolutely heartwarming! Thunder Hole where waves crash into a rocky inlet to create a thunderous sound. 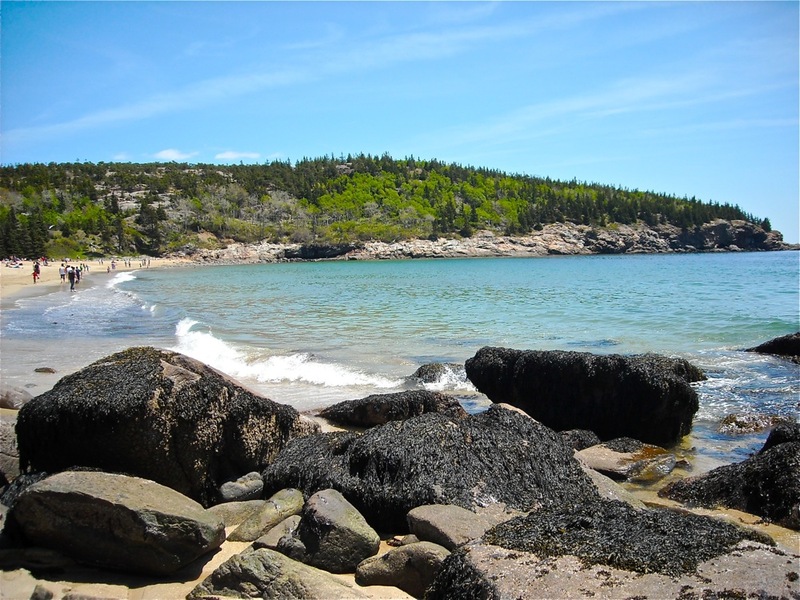 Otter Cliff, with an elevation of 110 ft., offers amazing water views along the evergreen-filled rocky coast. What a nice place for a picnic on the rocks. If you access the rocks, be so careful as it is easy to slip. I speak from first-hand experience! From the top of Gorham Mountain, you get an incredible view of the glacial blue Atlantic Ocean. Please keep in mind that the Loop Road fee applies to the one-way road going through the Loop Road. 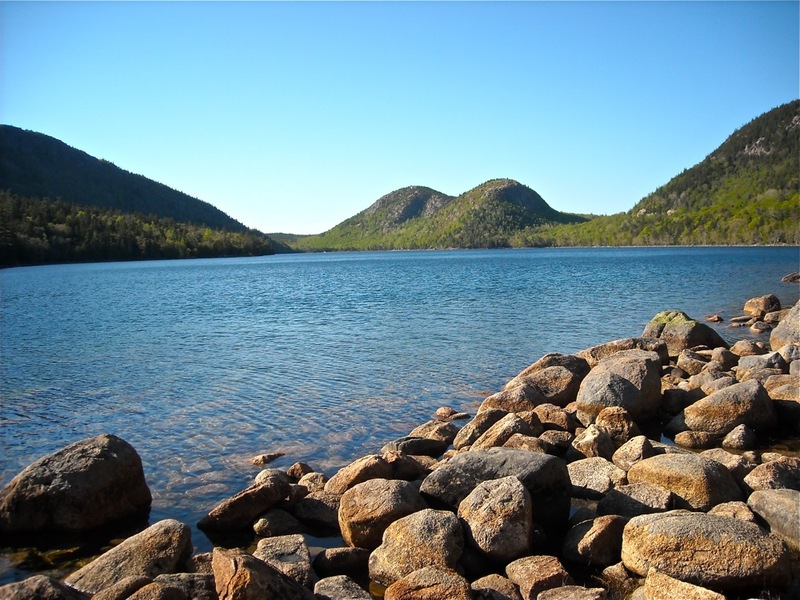 When the two-lane road begins (at no charge), make sure you check out destinations like beautiful Jordan Pond and the Bubble Rocks, and Cadillac Mountain. Jordan Pond — off the Park Loop Rd. and in between Northeast Harbor and Bar Harbor, features wonderfully scenic views of Penobscot Mountain and the Bubbles (center of photo in distance), and complemented by hiking trails and dense forest to surely refresh and reconnect with our country’s beautiful land. The appetite for scenery seems endless once experiencing places like Jordan Pond, but another kind of hunger cannot be denied virtually right next door: the famous Jordan Pond popovers at the Jordan Pond restaurant. Dating back to the late 1800s, these right-out-of-the-oven popovers have been pleasing visitors year after year. Make sure you get here when the warmer weather arrives! 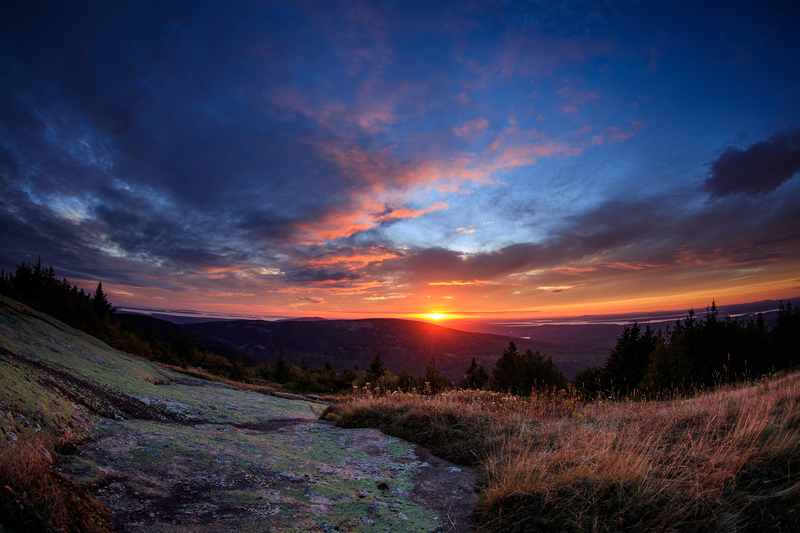 Cadillac Mountain, the highest point along the Northern Atlantic Seaboard at 1,532 ft. high, offers incredible views during daylight — and especially sunrise and sunset — including Bar Harbor, Schoodic Peninsula, Eagle Lake, Blue Hill Mountain, Southwest Harbor and the Cranberry Islands. Blue Hill Overlook at Cadillac Mountain. Take the 3.5 mile Summit Rd. until reaching the top, but keep your eyes on the road along the trek and make sure your vehicle — especially the brakes — is in good condition. There is a small gift, snack, and information center at the top, which is nice and also convenient on a chilly day, but we suspect you’ll spend the majority of time up here in awe of the mountaintop scenery. 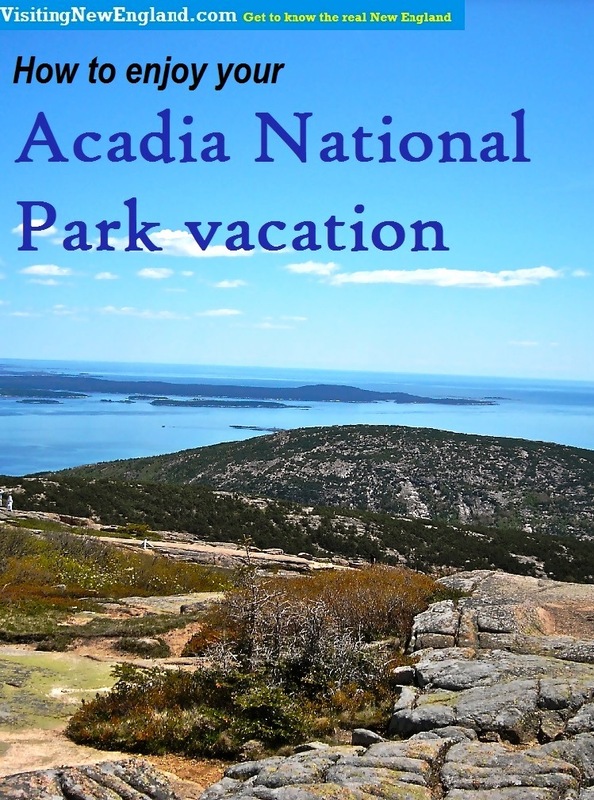 Additionally great news for the Acadia National Park budget traveler: the National Park Service will waive entrance fees on certain days in 2017 to encourage exploring these national treasures. That includes Acadia National Park! The dates…. Open from May to October, the Loop Road has different looks depending upon the season. It’s all good! Fall is especially underrated, as while everyone seems to be traveling to Vermont and New Hampshire for foliage, Acadia offers great scenery within the wooded paths. Spring is beautiful with all the blossoming plant life juxtaposing with the spectacular coast. Summer might just be the best traveling time as the temperatures are more consistently warm and affords the best chance to swim in the innately cold ocean waters at a place like Sand Beach — if you so bravely choose. What time of year to choose? 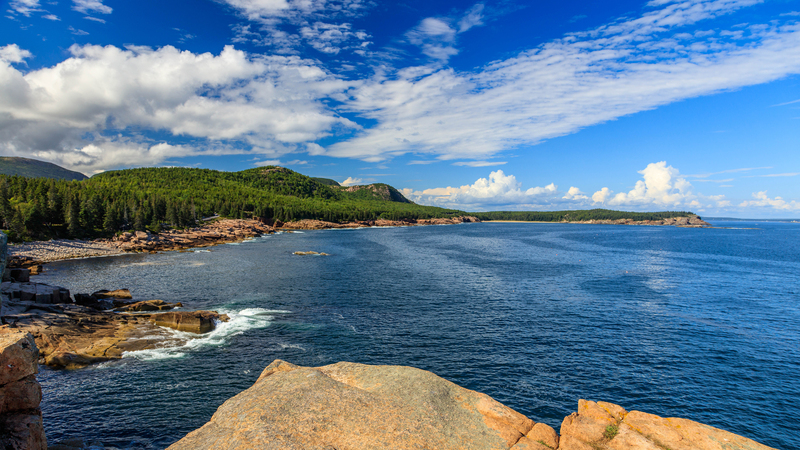 I say go as often as possible to Acadia National Park — it’s that special! For more details — including where to purchase passes — check out the National Park Service Acadia National Park web site. For lodging at the lowest available rate, compare hotel prices near Acadia National Park Our favorite is Kimball Terrace Inn in Northeast Harbor. I think I have stayed there 20+ times as the convenient, village-like setting, pond views, outdoor pool, expansive lawn and good value for the money all make for a very pleasant place to stay! 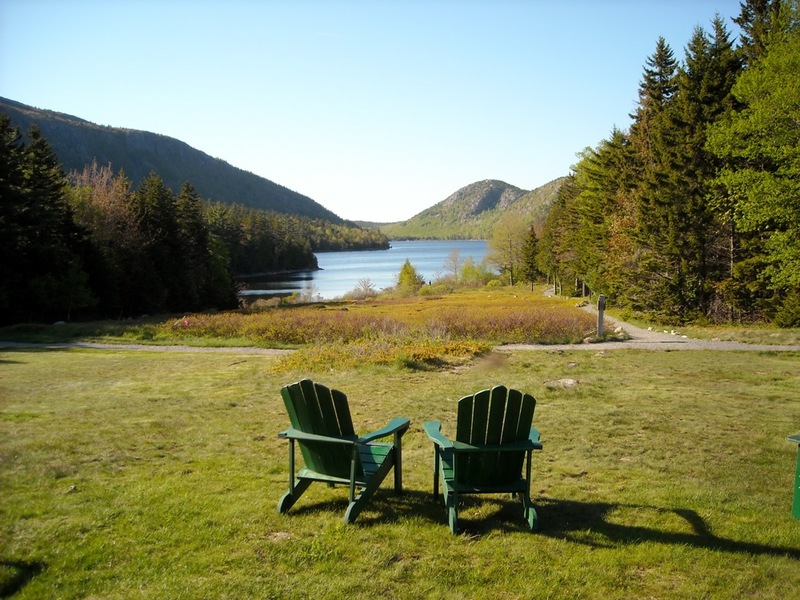 Affordable lodging near Acadia National Park. Book now! ← Step Back in Time at Historic Deerfield Village, Mass.